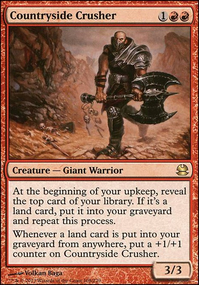 Until end of turn, target creature you control gains trample and gets +X/+0, where X is its power. Sacrifice it at end of turn. Natural Order - Transform mana dorks into big fatties. I do note there aren't that many green fatties in the deck atm. Sneak Attack - Cause sometimes, 1 hit is all your need to steal the game. Cream of the Crop - Given the amount of fatties you run, some top of library filtering may help. 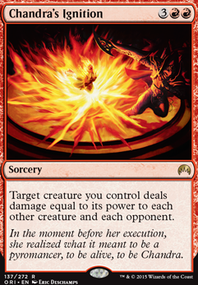 Fatal Frenzy / Rush of Blood - Doubling the power is good, Quadrupling it is orgasmic. At worst, they serve as redundancy for Xenagos. Seize the Day - Now that your creature is all pumped up, why not take an additional 2 combat steps for a mere cost of . A none card related suggestion - The blue card links don't stand out against the green background. 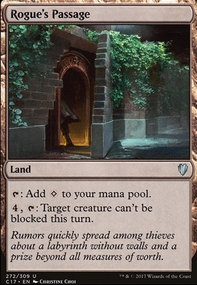 If you're interested, we can explore ways to alter the font color to make reading the deck list more conducive. Let me know. Hope the above helps. Cheers! Cereal_Killer Thanks for the suggestions. Yeah Demanding Dragon was just a cheap alternative to Lightning Bolt . My main goal for this deck was to make it as cheap as possible, and I picked DD as it seemed like a decent filler. I agree about Dismissive Pyromancer . It's very niche but it comes in handy for poor draws every now and then. Vexing Devil would be amazing in this deck, but it costs more than the entire thing. Will put in the maybeboard for sure though. Fatal Frenzy could be a kill card, but so far the creatures do fine on their own. Could be very powerful though and I'll test it out some for sure. Thanks a lot for commenting! You gave me some interesting suggestions. The Neheb subtheme is like a backup plan. I was also considering to cut something else for Mana Geyser and get a huge Comet Storm. 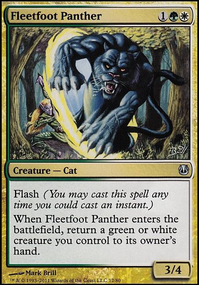 Or maybe cast Varchild for the 7th time, which is always a downside of Voltron decks. For Repercussion I was thinking that it might not be optimal with all the Survivor tokens, but it's definitely a great card. I think that as you say it is quite correct to include. Also Grenzo, Havoc Raiser seems quite good to either protect yourself, or getting card advantage. 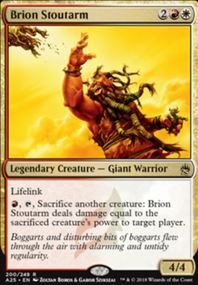 Also Trading Post, the artifact planeswalker... get it! 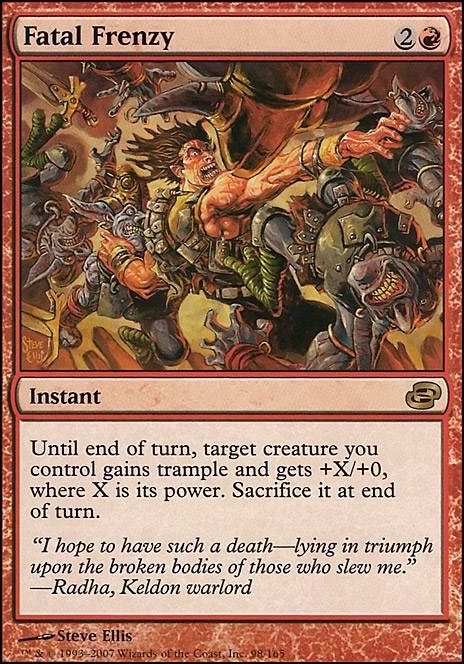 The thing with Vance's Blasting Cannons Flip is that I have a promo version of that card, which looks sweet! But you're probably right, Outpost Siege is almost always better, the flip side of Vance's Cannons is not that exciting. Thanks a lot for commenting! Your comment has been super helpful! You gave me a ton of includes for this deck. Very nice deck! I've found it a fun challenge to balance the voltron/token/political mix of Varchild. And it's got a Neheb theme? Lovely! Not sure how well Cloudstone Curio is going to work for you... you don't seem to have enough creatures to consistently bounce Varchild with it. I highly HIGHLY recommend Repercussion. great way to win out of nowhere and goes great with the Neheb theme. Add Chain Reaction for that angle if you like it! Grenzo, Havoc Raiser is a great way to get some card advantage with your survivors. 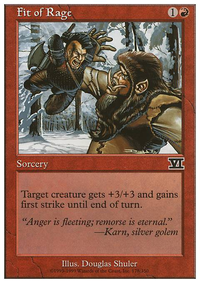 Outpost Siege is a versatile card, you can either choose card advantage of damage depending on how things are going. Good when you're behind or ahead. Replace Vance's Blasting Cannons Flip possible? Trading Post is another great value card. Whatever you have a lot of you can dump for what you need. Suprised not to see Rogue's Passage. Fatal Frenzy is a great buff then sac card. Everything you want for 3 mana. How about some Fatal Frenzy?